AL-KO axle for use with plant trailers, livestock trailers or where a heavy duty axle is required, these axles are manufactured in the UK. 50mm solid square beam axle with a carrying capacity of 1800kg, fitted with 5xM16 wheel studs & nuts, 230x61 - 6.5PCD auto reverse brake drums. 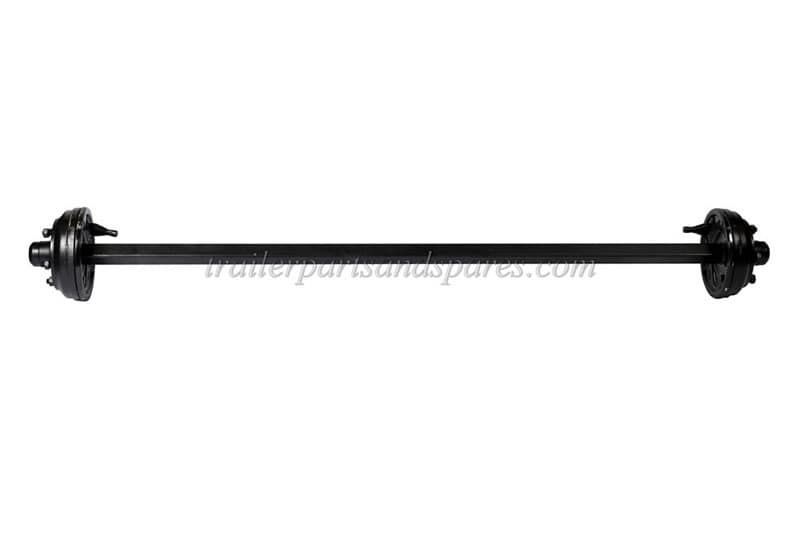 Axle length is 2175mm OHF and is supplied with two mushroom end brake cables (1200mm & 1200mm).